Part of being a full time freelance writer is looking for new clients. I have some room in my “garage” right now and I was checking out some job postings for companies that are looking for part time writers. They all basically looked alike – as writing job posts are wont to do – but then one jumped out at me. I have been at this for a while, but I admit I have never seen this in a job post. Now, you may not be familiar with the Dunning-Kruger Effect by name, but if you have spent any time around humans you have very likely seen it in action. The short definition is the malady of the inflated ego, but I like a little more detail. Basically, it is a term used to describe the phenomenon of how ignorance or incompetence evokes more confidence than knowledge or competence. There are actual studies that have been done on this showing that the people who are the most incompetent are the very ones who are the most convinced of their competence. It is the epitome of ignorance is bliss. To illustrate the Dunning-Kruger Effect let’s look at this scenario. You ask two people to answer a series of 10 math problems and one person gets 3 correct while the other gets 9 correct, the person who got 3 right will tend to think of terms of “I got 3 right.” The person who got 9 correct, though, will typically think in terms of “I missed one.” The psychology behind this is that the most competent people are usually the ones to underestimate or downplay their competence the most while the incompetent folks are convinced that they are the most competent people in the room. They are essentially incapable of recognizing their own incompetence. You’ve had the boss who thought he or she could do it all? Often that compulsion stems from this. You can’t do it all; no one can. A Pacific News article, We are all Confident Idiots, explains the Dunning-Kruger Effect quite well. Plus it’s an enjoyable read. I highly suggest it if you want to know more. Another excellent piece is Unskilled and Unaware. It is the original paper written by Dunning and Kruger. My focus here is not to provide information on this condition, or whatever it is; my focus here is to tell you how it is wrecking your marketing strategy. Well, if you don’t know what you are doing it can be hard, very hard – and very bad. This is especially true if you are pouring money into advertising, yet you have minimal or no experience in advertising. Sure, some people are naturals, but those guys are few and far between. The rest of us have to study and work hard to get the knowledge, experience and skills that make us good marketers. Marketing is a science and an art. There are intricacies that only experience can teach you. It seems like every day there is yet another new Google algorithm or social media platform, or SEO technique. You have to stay on top of it all in order to effectively compete. And if you are busy handling all of your business affairs, how can you devote the time and energy to your company’s marketing strategy as well? When do you sleep? Marketing is not simple and it certainly isn’t easy. It takes time to learn, to get a feel for it. Call it intuition if you want, but it is learned through working in the industry and working for multiple clients across multiple industries. It is not an easy job and 9 out of 10 small businesses are cheating themselves out of higher conversions, increased traffic, and improved customer loyalty because they overestimate their own ability to market their company instead of delegating the task to a professional. However, if you still aren’t convinced, let’s look at why you would do better to hire someone to do your marketing. 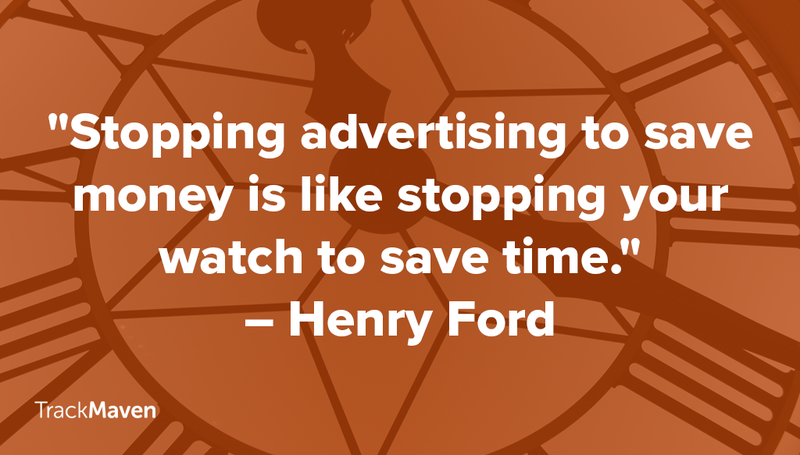 It will free up more of your time so you can do what you do best – grow your business. Marketing any company takes time and focus. If you are trying to do it all yourself, it is a much more cost effective and efficient move to hire someone to do your marketing. You don’t want to get wrapped up in the details – but you still need the details. Even most marketing companies don’t do their own promotional writing, they hire writers to do it. Even they, the marketing experts, recognize where their strengths, and weaknesses, lie and they know that it will be done faster and better when the right person is doing the right job. Everyone is in his or her own lane, attending to the relevant details in that lane – and everything gets done. Your marketing schedule will not be interrupted. If you have absolutely nothing else to do it is probably pretty easy to keep your marketing on schedule, but you are running a business. If you are trying to do it all, something is going to suffer and it will probably be your marketing. Someone on the outside can give you a perspective that is fresh and objective. When you are writing your own stuff and marketing your own company it is easy to get wrapped up in the emotional attachments, If your own needs, agendas, motivations. An outsider is more apt to think like your customer, your target and create material that speaks to them. If you are a marketing pro and you think I am out of my mind crazy (and maybe dealing with a little Dunning-Kruger Effect myself) well, go ahead and do your own marketing. Who knows, you might be an absolute genius at it. More power to you! But if you are sitting there, staring at your screen, mouth agape, thinking “Wow. She’s talking about ME!” Well, acknowledging the problem is the first step in solving it.